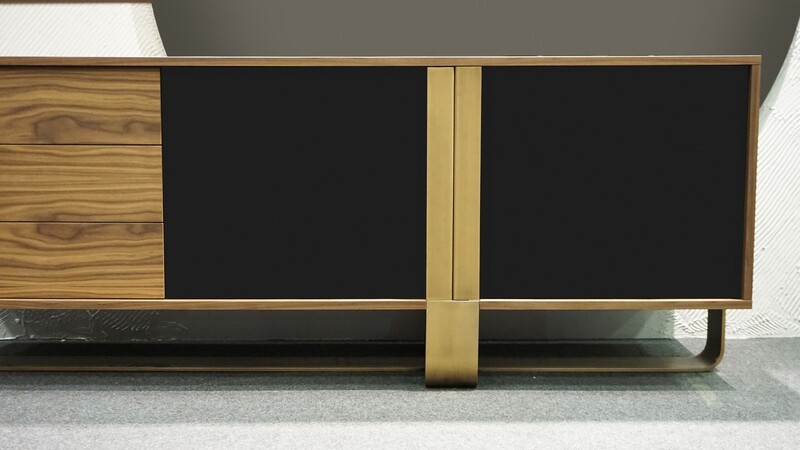 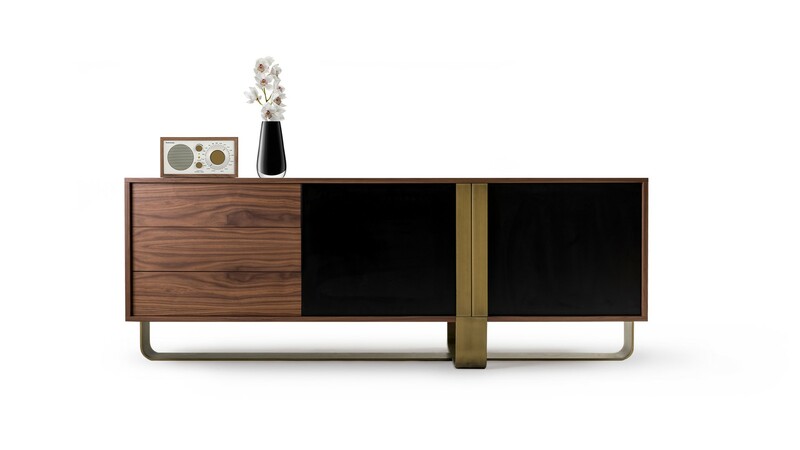 George Bosnas designed The Armon sideboard. 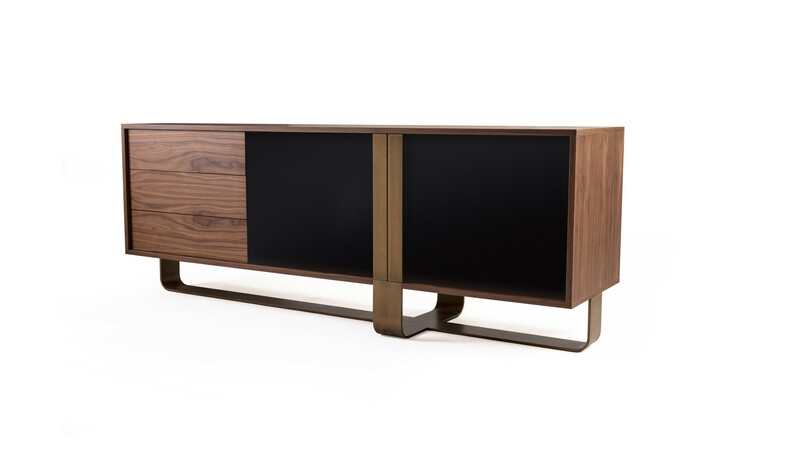 The sideboard is ideal in adding aesthetic contrasts to your home, following a blend of vintage and contemporary industrial design. 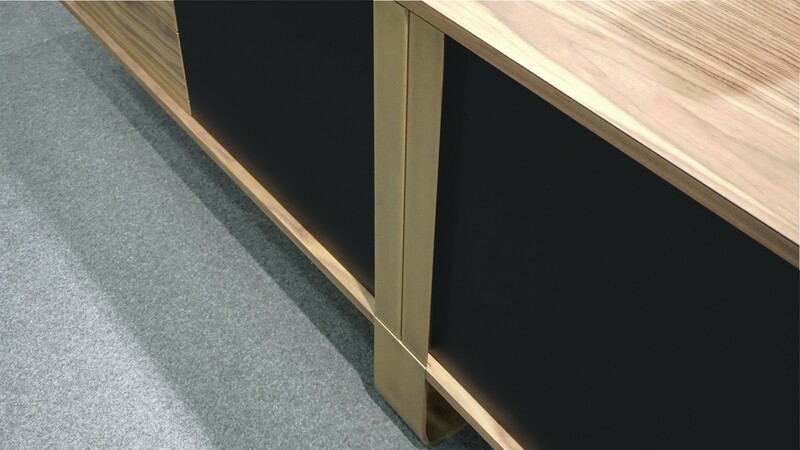 Black lacquer, wood and bronze finish color, create a special ambience suitable for every home and for every professional space adding prestige and style. 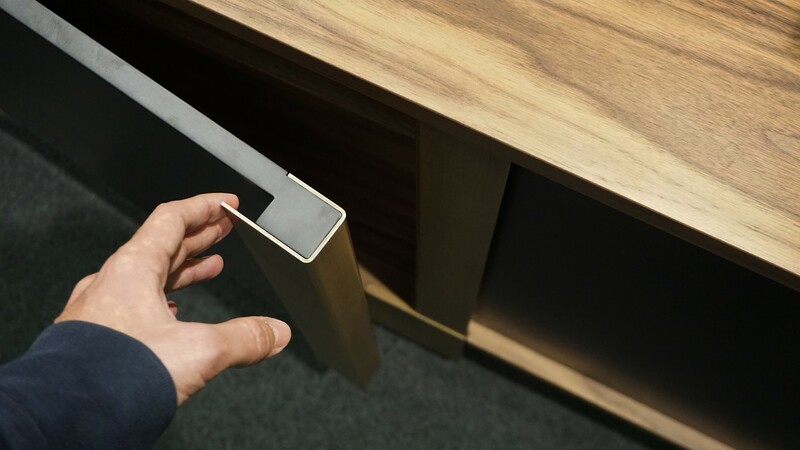 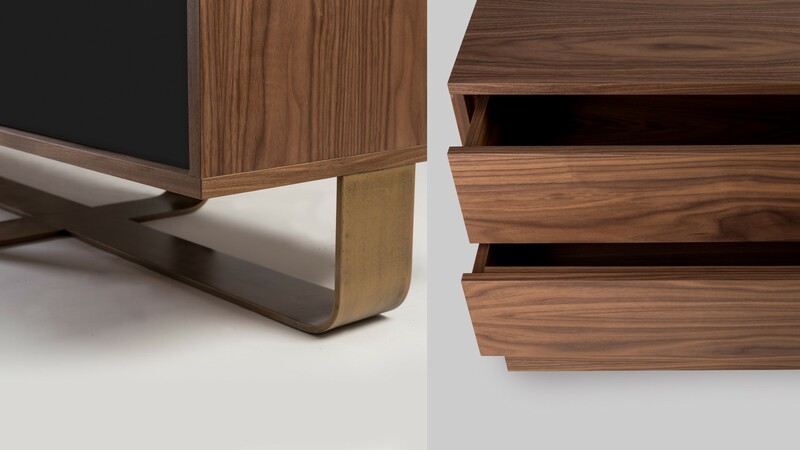 Working with the primitives of a sideboard, I ended up merging the details with the structure, like the vertical handles end on the base of this modern piece of furniture.